On a secret military base tucked in a remote desert mountain, a dangerous machine lies hidden from the American public. Known as 'The Actuator,' this machine is capable of transforming entire communities into alternate realities. In theory, these often terrifying realities are reversible. The scientists in charge of this machine employ operatives called Machine Monks, who attune their minds to manifest single ideas from the realms of fantasy and science fiction. These ideas are then superimposed upon sparsely inhabited areas for testing. For a while, the enigmatic Actuator cooperates with the experiments, using dampeners to limit the affected area. But those in charge of the project eagerly anticipate exploring the full potential of this amazing device. Experiments progress to where they feed more than twenty different genre ideas simultaneously into the Actuator's database. Meanwhile, an unknown saboteur dismantles the dampeners. The effect is catastrophic. The entire world is plunged into chaos. 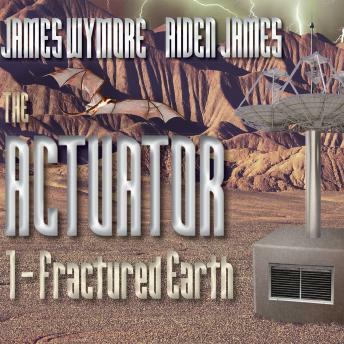 Overnight, the Actuator becomes the worst menace the earth has ever seen, claiming lives in staggering numbers. Can a few surviving Machine Monks band together to set things right again?